Don’t let the stuffy name fool you. Corporate is one of the hippest and coolest neighbourhoods in Burlington with all the stuff young professionals want within walking distance. Corporate is quickly redefining itself as a hip neighbourhood for people who want to walk everywhere and live minimally. Who doesn't want a forest in their backyard? Exercise meets fun at this massive trampoline park. The kids will be begging you to take them, and you will be happy to do so when you see how well they sleep after a couple hours of jumping. With a long-term care facility and a daycare designed into the neighbourhood, as well as events to facilitate the merging of all generations. With multi-level, loft-style apartments and live/work options. How much does it cost to live in Corporate? Your typical neighbours are a mix of professional singles, young families and downsizers. Driving to Toronto from Corporate takes approximately 35 minutes. However, during rush hour the time you spend in the car could increase to approximately 1 hour 10 minutes. Using the Appleby GO Station is a huge benefit to local residents and gives commuters a consistent travel time to Union Station of 44 minutes. Corporate is also situated about midway between the 407 and the QEW, which is great for those who drive to work. 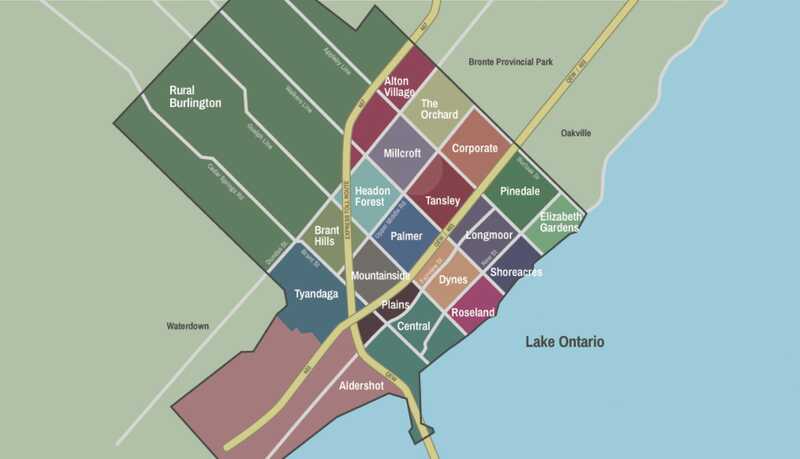 Should you consider buying a home in Corporate, aka “Uptown Burlington”? Don’t let the stuffy name fool you. Corporate is one of the hippest and coolest neighbourhoods in Burlington with all the stuff young professionals want within walking distance… do people still say hip or cool? No idea. Dammit, I’m old. Corporate is becoming the go-to area for young professionals. Moving right along… We have observed young professionals want some pretty consistent things: to be close to public transit that takes them into the big city, pricey coffee with comfy chairs and wifi, all day breakfast establishments, restaurant/pub options with fireplaces, stone facade walls and lots of flat screens with sports on them, smoothies, a 24 hour gym, walk-in clinics and LOFTS. Corporate has all of these things, in walking distance. If you add this to the relative affordability of the area, you can see why it is becoming the go-to area for young professionals. If you drive around Corporate you will find lots of large condominium buildings on the main roads, with more being built as we type. If you’re not looking for condo-life, the side streets are full of well-kept and affordable freehold semis and townhouses. 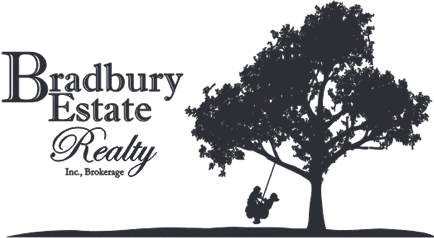 You will also find homes that back onto Sheldon Creek Woodlot, a city-owned green space. Being able to look at nature from your kitchen window rather than what episode of “Say Yes to The Dress” Nancy in the house behind you is watching, is a priceless commodity.